If you’re keeping track of City Hall news, and even if you’re not, Mayor Sharon Konopa’s veto of a code change on accessory dwellings has been upheld. Now she’ll work with the city staff to come up with a version she likes better. The council voted 4-2 to overturn her veto, with Coburn and Olsen voting no. It takes five votes to accomplish this, so the veto stands and the code change is rejected. No reason to rehash the entire background, which I explained on July 23 and you can read here. But in short, the mayor objected to allowing accessory dwelling units of up to 900 square feet, up from 750 square feet already allowed. She also did not like allowing on-street parking to count as one of the three required parking spaces that the code demands for single-family residences with an accessory dwelling. She thought the bigger spaces could turn single-family neighborhoods into multiple-family zones. Councilman Rich Kellum saw no difference between unregulated street parking taken up by a big family with several drivers in a one-family house on the one hand, and street parking used by tenants of an accessory unit on the other. Councilor Mike Sykes said the 900 square feet would allow two bedrooms, and this would be good if your elderly folks live in the unit and one needs a separate room. Not having the extra room might force a relative into a care home, he said. Konopa, recovering from a car crash, took part in Monday’s council work session by phone. 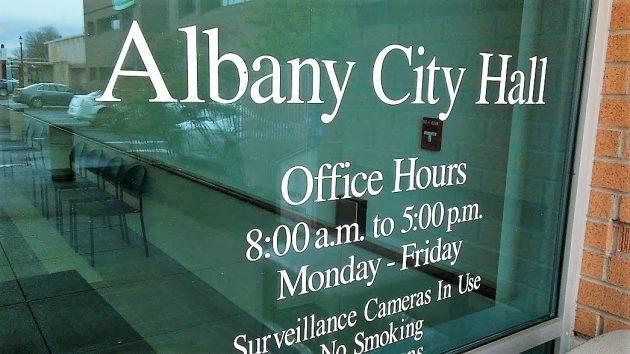 Albany has to adopt something because a 2017 state law requires cities and counties above certain sizes to allow accessory dwellings on all single-family residential lots, and Albany now allows detached units only if they were built before 1998. Has so writes, “Councilman Rich Kellum saw no difference between unregulated street parking taken up by a big family with several drivers in a one-family house on the one hand, and street parking used by tenants of an accessory unit on the other.”. It seems no amount of street-clogging car parking can impact Kellum. One could easily surmise Kellum is a major shareholder in auto manufacturing, eager to see more vehicles taking up more space. The fact that Kellum sees no difference points to his governing principle – namely – the status quo is here for a reason. No need to ever question. It seems that no amount of logic gets thru to J.Jacobson. A parking spot used by the 5th child in a large family is somehow different than the parking spot used by a mother in law in a backyard apt. Strange.. The child can’t drive until he is 16. When he is 18, he usually goes off to college or moves out. The backyard person could be there for 20 years or more. Moreover, when someone builds a house in the backyard, when the original reason for it (mother-in-law) passes, they will want to make money on it to recoup their costs. Thus this becomes a permanent residence which needs a permanent parking space.